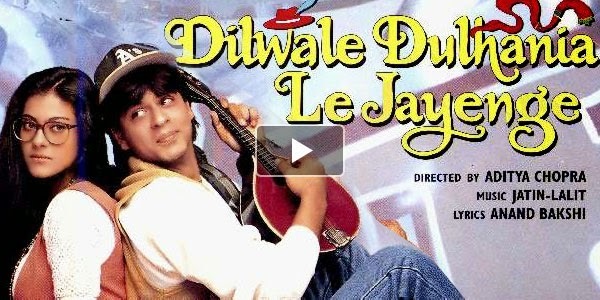 Raaga.com: DDLJ Creates History - Enters 20th Years of its successful run! DDLJ Creates History - Enters 20th Years of its successful run! Yash Chopra’s DILWALE DULHANIYA LE JAYENGE (DDLJ) was released on October 20, 1995 thus today the movie completes 19 years and enters 20th year of its successful run at Mumbai’s Maratha Mandir Cinema, thus creating a unique record of the longest running movie in the world. Raaga.Com goes memory down lane and traces few untold aspects of the movie. Few may know that Aditya Chopra, who made his debut as a director with this movie had written the script when he was in school. In one of his rare interviews he informed that when his father Yash Chopra happened to read his story which was just a rough idea of a foreign boy falling in love with an Indian girl, his father was impressed. But his happiness soon dwindled when Adi told his father that he wished to make the movie in English with Tom Cruise in the lead. However later Adi changed his mind and decided to make the movie in Hindi. While everybody knows that Saif Ali Khan was the original choice as the hero few would know that even Shah Rukh Khan had turned down the role when initially offered by Adi. The reason was simple because at that time SRK was then ruling Bollywood as an Anti Hero with movies like BAAZIGAAR and DARR doing excellent businesses. But Adi convinced SRK and rest is history. Readers would be surprised to know that after the amazing success of the movie SRK was so overwhelmed by Adi that he personally signed a Poster of DILWALE DULHANIYA LE JAYENGE and acknowledged his gratitude in words - Adi Thank You … You have made me a star! The poster with SRK autograph is still a treasure possession at the office of Yash Raj Films. Besides breaking all box office records in India DILWALE DULHANIYA LE JAYENGE also set new International records. It became the second Bollywood movie after Hum AAPKE HAIN KOUN to gross over 1 billion (US$16 million) worldwide! And last but not the list the DILWALE DULHANIA LE JAYENGE created history at the annual Filmfare Awards too by winning a maximum of 10 Filmfare Awards, the most ever for a single film at that time, as well as the National Film Award for Best Popular Film Providing Wholesome Entertainment. Helen - The Ultimate ‘Oomph’ of Bollywood!